Here’s a short clip thrown together while Anthony was in town. 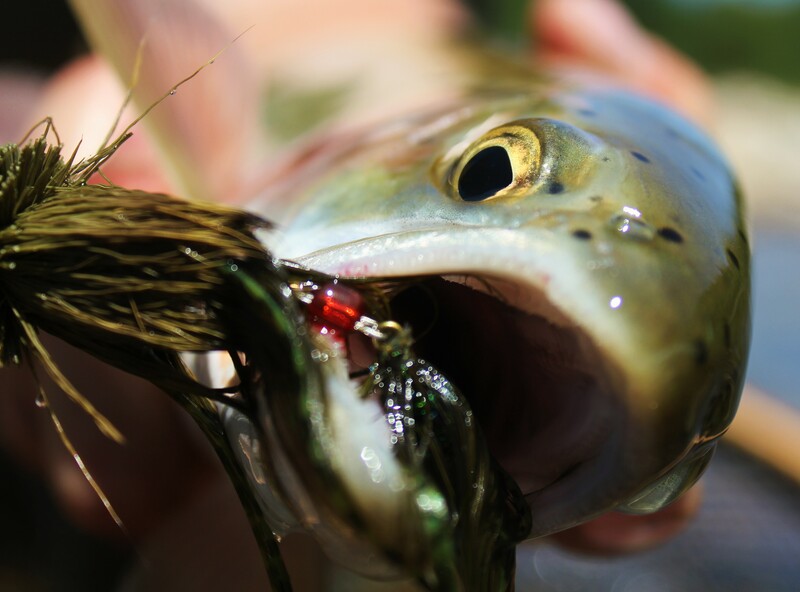 The rivers are finally dropping to fish-able levels and things are looking good. The fish are eating and getting back into their old stomping grounds. Some days are a lot harder to motivate oneself to go to work than others. Today could be ranked as the biggest test of conforming to societies trends and listening to the man. It might be because its a beautiful 45 degree summer morning, the sun is just over the mountains and the air just smells like an all you can cast dry fly buffet? It might be because its only Wednesday and I haven’t been fishing since Monday? 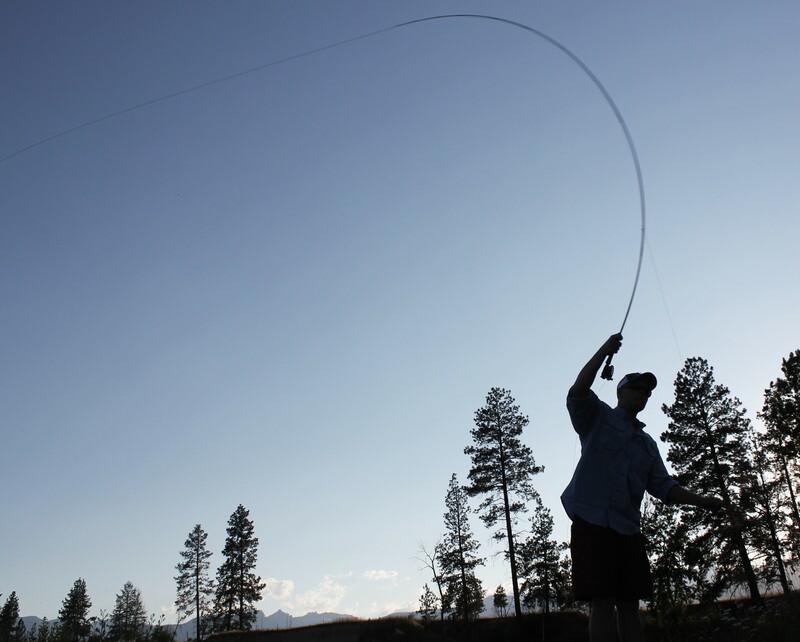 Or maybe its because its summer in Big Sky country, I am a trout guy and fishing is what should be done today? No its none of those. 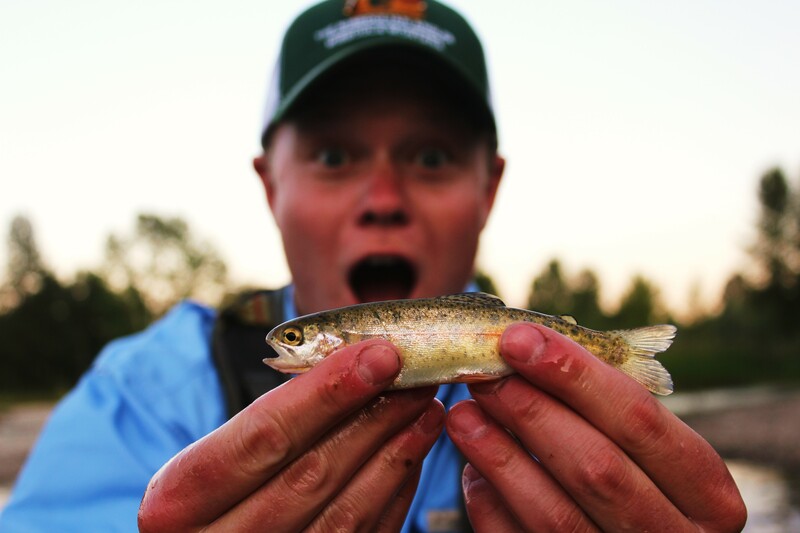 Its because the FCFT crew, for the first time, has been blessed by the trout gods with a drift boat. They were loading up and I had to watch from the inside. I felt like the little kid who couldn’t go. But at least I can daydream my way through work about floating through lots of fish. Good Luck to Stan, Sean and Anthony. I am living vicariously through them today. Here are a few photos to try and keep my mind off work and on the river. What's that saying about eyes being bigger than your stomach? We were finally able to get out on the real rivers this weekend without having to blow up the water wings for safety. 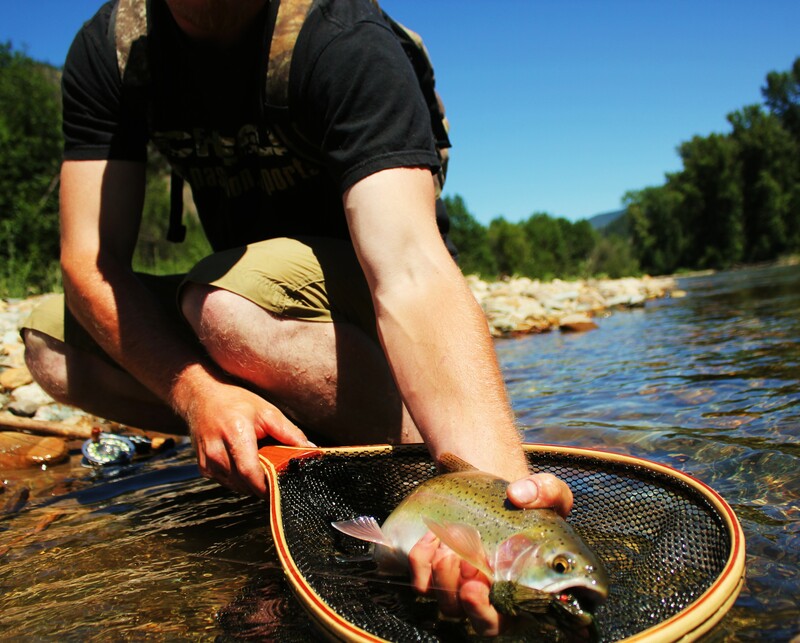 Not having to fish still water or tiny creeks was a breath of fresh air. And even better, the fish were fired up and hungry. We had a surprise visit from Anthony and found some pretty water and some nice fish to go along with it. We even got some filming in so hopefully in the next few days we can get a video throw together. The stereotypical over contrasted fish picture. 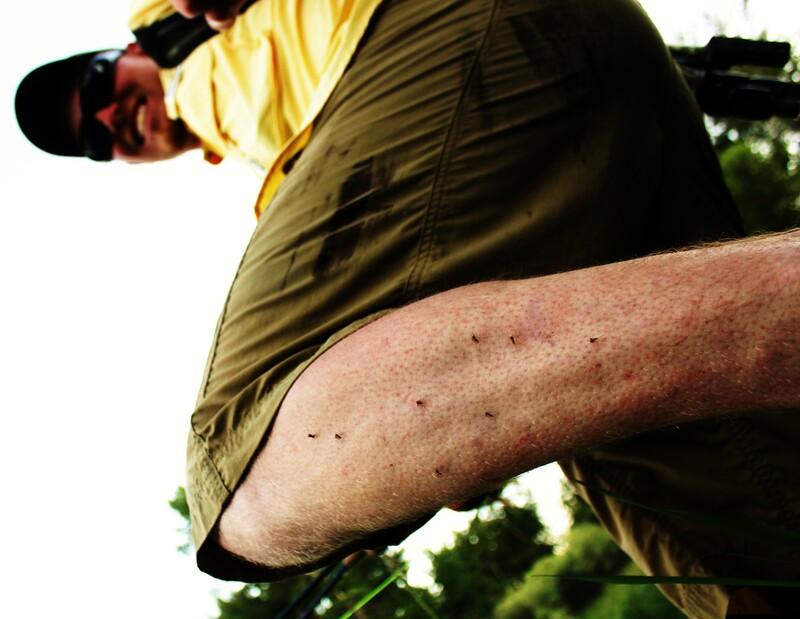 The summer fishing is just starting to heat up, and it looks like its going to be pretty hot. Good days ahead. Hopefully we can deliver it to you in a timely and classy manner. P.s- This is kind of a PSA. Wear close toed shoes when you are wading. This is what you get for being a Missoula hippie and wearing chacos in a fast flowing freestone stream. 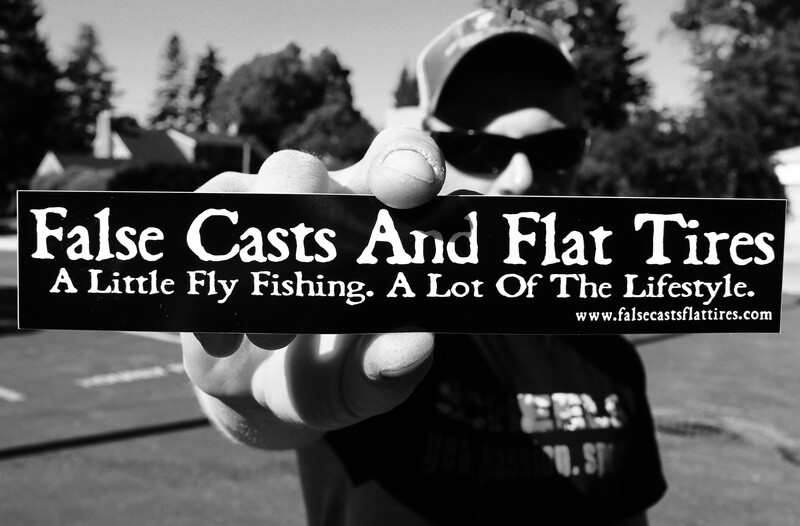 They are here and all ready being posted up on fishing rigs in the Big Sky. If you would like one just leave us a comment and we can get one right out to your neck of the woods. Hopefully Sticker 2.0 is in the near future… Logos/graphics/awesomeness. 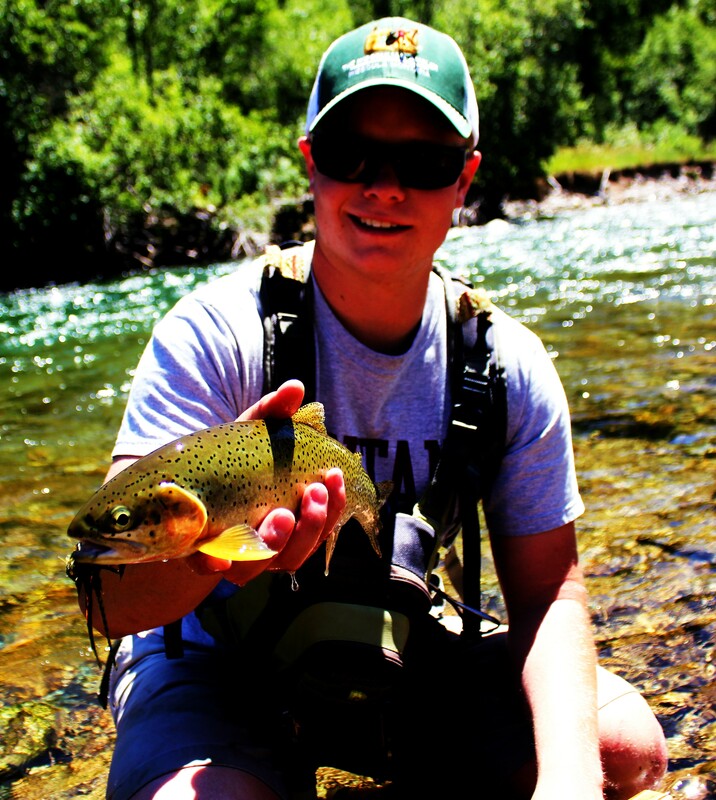 So enjoy and rep your favorite independent, college trout bum, fly fishing lifestyle website out of Missoula. 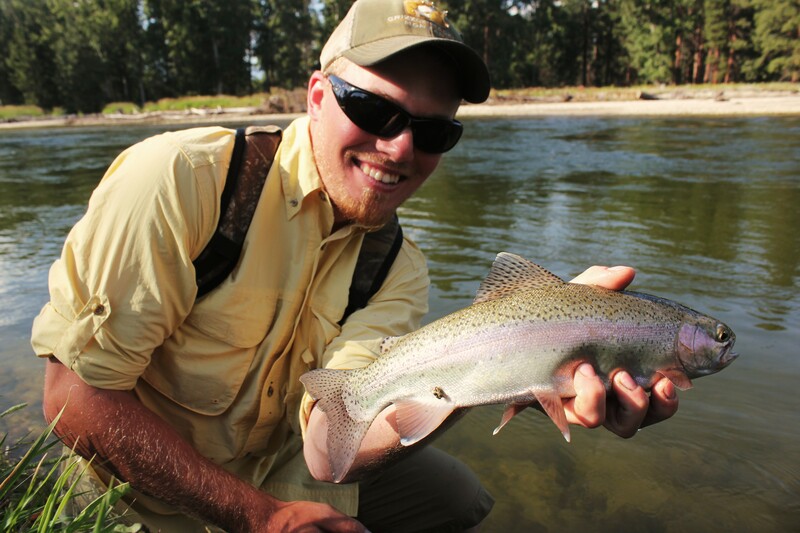 For the First time since early MAY, truly readable water was fished this week. Granted it was on a creek and not on a mainstream river, but at this point it was almost the Garden of Eden. It lifted the soul when a drift that felt and looked good moved a fish. The FCFT crew has been dabbling in night fishing this week. 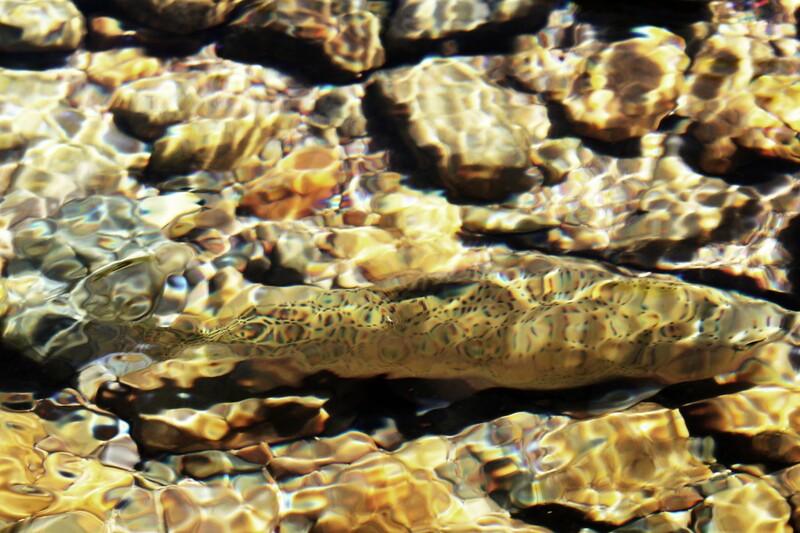 The lights of downtown Missoula offer a 24/7 buffet for the fish that live right here in town. Also made an after work trip out with Ivan from YGF. Good times for sure. Hopefully FCFT and YGF can team up again and get on some more fish in the near future. Ivan can make a mean video and runs a pretty legit show over there so be sure to give him a look. After work evening adventures are on deck and the weekend seems to be booking up pretty quick. 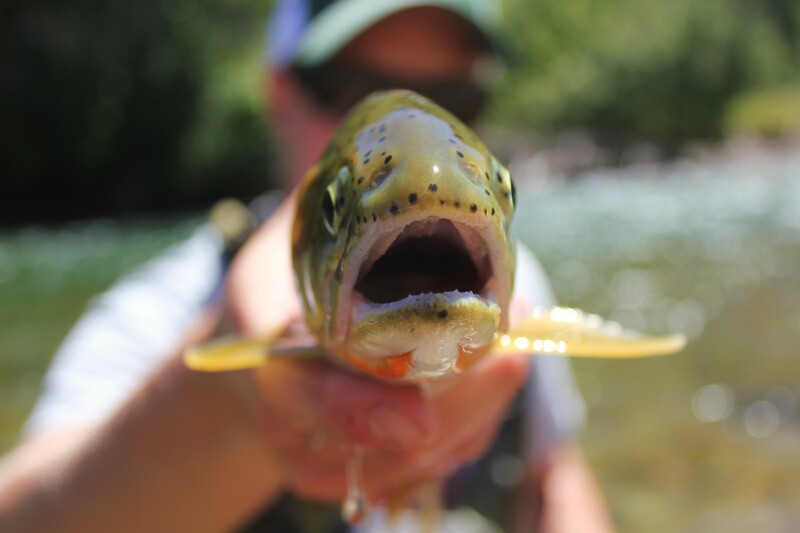 Things are getting back to normal and the bugs and trout are looking strong. 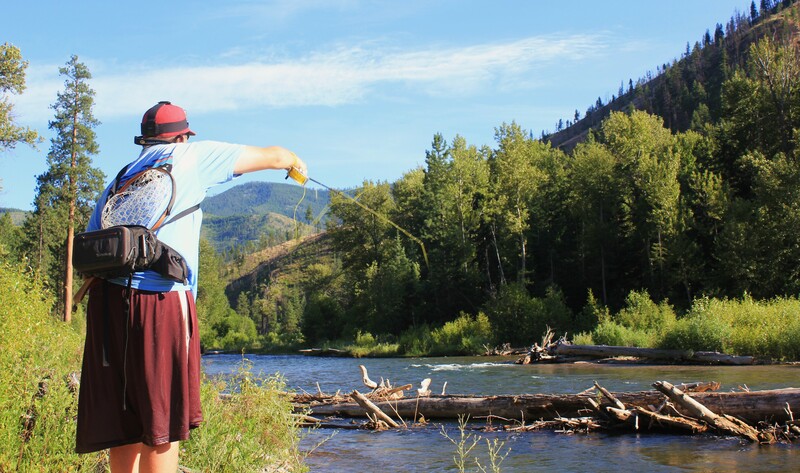 Find your way to western MT and fish with us. We would love the company. 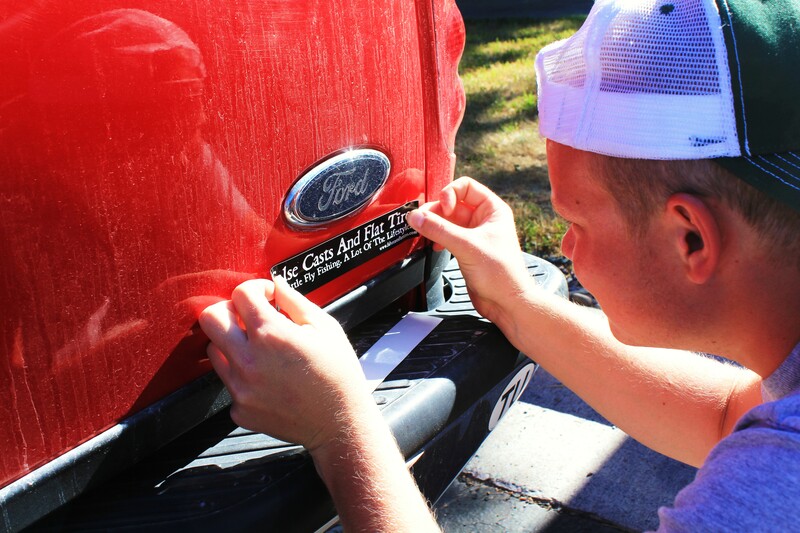 P.s.- Stickers coming in today or tomorrow. Watch out.